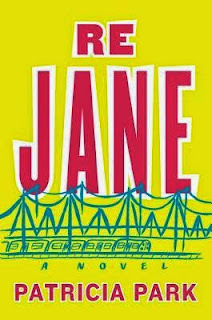 I wanted to start the week off on a high note, and thanks to Penguin Books, I have a lovely giveaway of Patricia Park's debut novel Re Jane to share with you this morning. This is a contemporary retelling of Jane Eyre featuring a Korean American Jane and a whole new take on the classic tale. As you know, I am physically incapable of passing up a retelling of that particular story (my review should be up shortly), but first here's your chance to win a copy! This giveaway is open to those with U.S. mailing addresses. To enter, fill out the Rafflecopter. The giveaway will be open through Monday, May 18th.